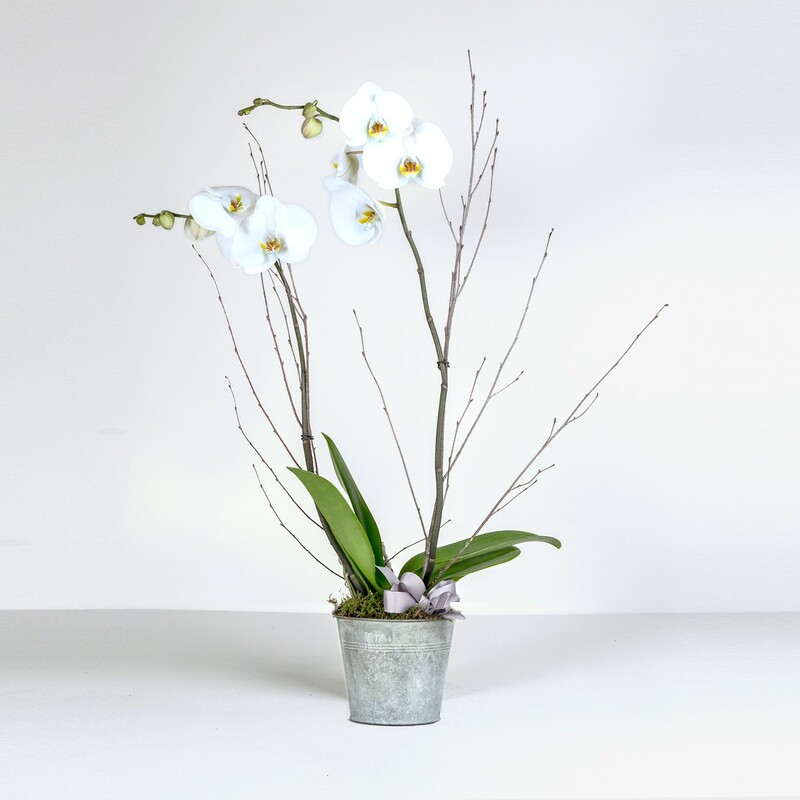 The orchid is synonymous with elegance and refinement, and to create a contemporary contrast, we have teamed this graceful flower with a steel container to create something distinctive and striking. Simple and yet effective, the arch of its slender stalk is completed by a luxurious cream flower that is synonymous with oriental beauty. This fabulous Phalaenopsis orchid is planted in a galvanised steel bucket, and has the advantage of being easy to care for while becoming a stunning feature in any room.